Looks fantastic, every time I see a hull of this era I wonder what the drag through the water would have been. That they achieved so much with ship of this type is nothing short of amazing. That is more or less what I think about designs like this, Mike. But the execution is fantastic anyway. @ Tino @ Thank you and I will remember. @ Mike @, @ Mike @, @ Ab @ - I do not know how much my model differs from that in Lisbon. It seems to me that I am lucky, that is, visually it is very similar, but have I kept the proportions? 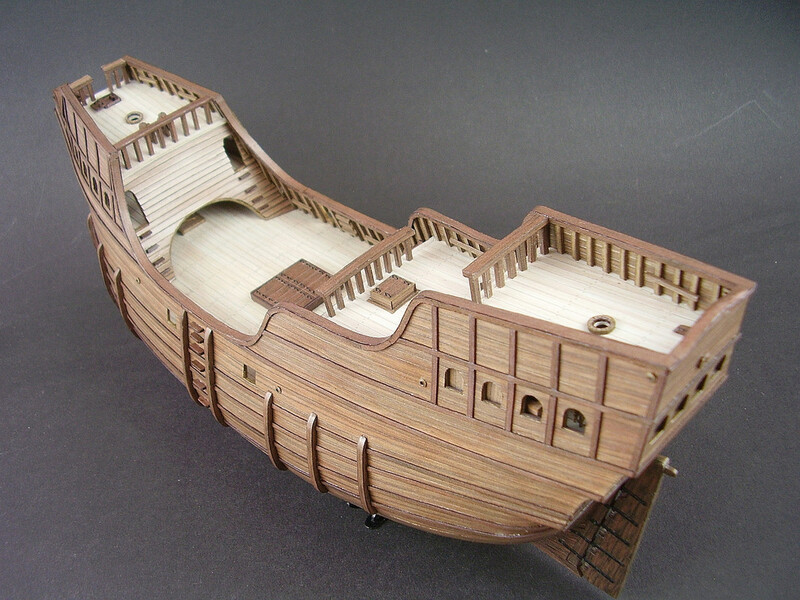 I based myself on pictures of this and other models from that period, on the cardboard model (Magellan's Trinidad from "Shipyard"), on drawings and plans of similar ships, etc. Even as an unfinished ship, it looks great. Last edited by Michael Mash; 02-02-2019 at 10:24 AM. 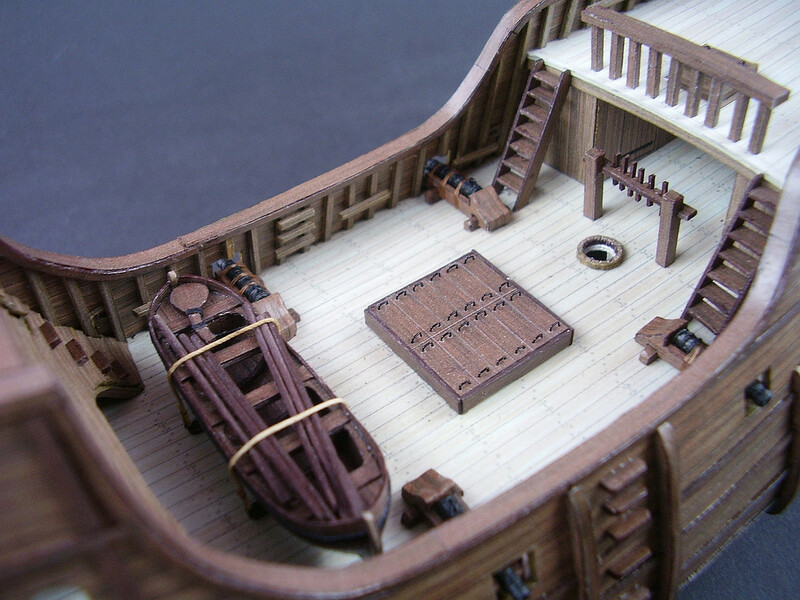 Historically correct or not, the model construction looks fantastic! Very clean! I second that completely. 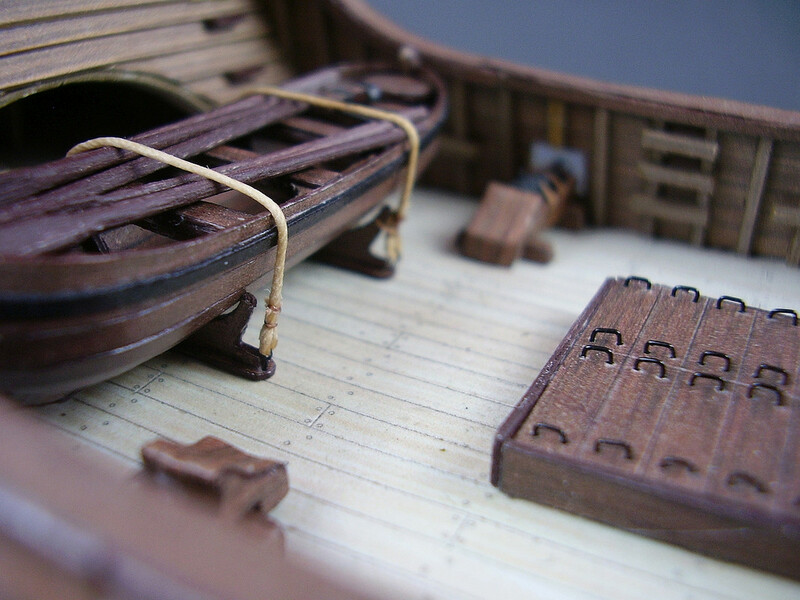 Still, working on ships of the past is a very tricky thing. it took me incredibly a lot of time to finish a few details, the all rest is begun and in a continuous "unfinished stage", but some photos on which you can see the differences are already there. I made pumps, artillery and fife rails (if it is the name of it on very old ships). 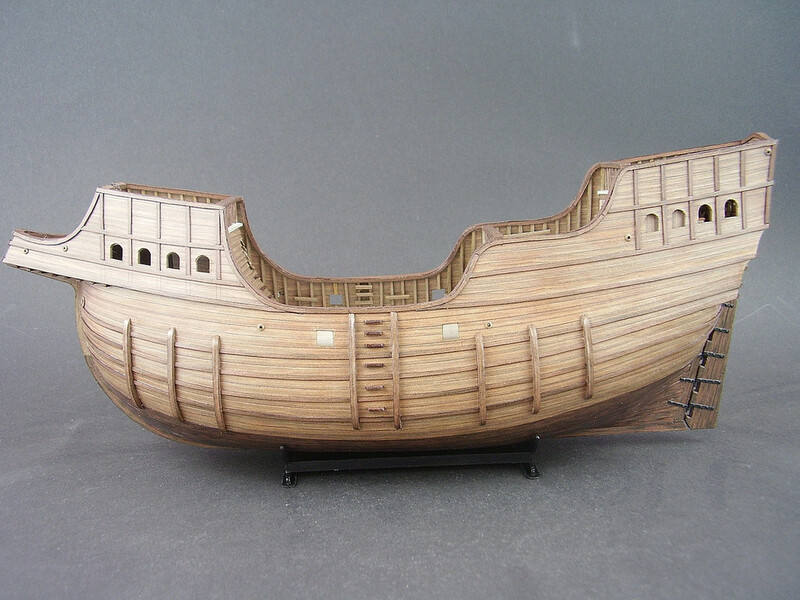 I also made the boat (6 cm). I did not quest for inventing new technologies: I glued the frames onto the upper surface (0.5 mm), covered with parts with color inside and laid the planks from the outside (all steps on the photos). I added an additional layer simulating the benches and imitating 3D. The oars were made of toothpicks (wooden, not bamboo). There are also some new eyebolts for tying ropes and sheave holes in bulwarks. It is a pleasure to walk the decks of your ship. 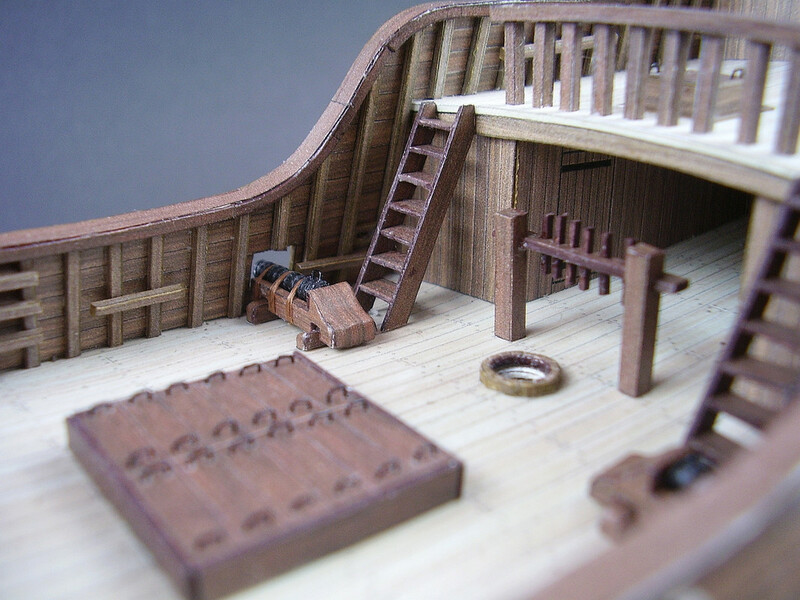 The details are excellent, including the ties to secure the boat to the deck. Beautiful craftsmanship, Tomek. It's cool to see your interpretation of these early details, with very nice clean building, looks great.